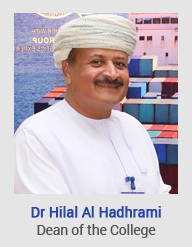 International Maritime College Oman (IMCO) is an institute of Higher Education inviting all individuals interested in a Maritime, Port, Shipping, Transport or Process Industries career to apply to the College. The diploma and bachelor programmes offered by IMCO are unique in Oman, as well as the entire GCC region. Those who are currently enrolled at IMCO have made their first steps toward a promising career in the Maritime, Port, Shipping, Transport or Process Industries. IMCO is supported by the STC-Group from Rotterdam, in the Netherlands. The STC-Group has more than 25 years experience providing innovative study environments in which students can learn about the maritime, transport, and oil and gas industries. IMCO brings this dynamic learning environment to the Sultanate of Oman combining experienced educators with hands-on training. This is only one of the reasons why IMCO is able to guarantee high-quality education and training. Studying at IMCO will give you a wide range of useful skills that can enable you to develop yourself along your career path. The combination of classroom study and practical, hands on, requirements will ensure you are trained to the highest educational standards. The college has recently moved to a first class campus in Sohar. The new complex has modern classrooms, lecture theatres, laboratories, workshops, simulator rooms, library and other high standard educational facilities. I am very pleased to introduce IMCO to you through this website. IMCO will do everything possible to help you succeed but it starts with you. We hope that this website will help you to form the right picture and make the best choice for your future. Are you looking forward to playing a key role in the vibrant, international business community of the 21st century? Then join us now!